Patches, sometimes refered to as emblems, are often an excellent substitute for direct embroidery. They can be removed and sewn on a new garment, as well as having multiple applications. Apparel Art can provide patches in all sizes and shapes such as round, rectangular, die cut, and can have any backing you may wish. 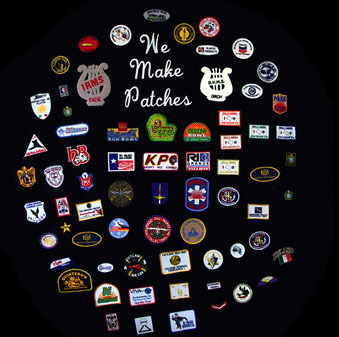 We can provide Velcro, sticky back (excellent for positioning while sewing), and heat seal on the back of the patches for a variety of applications. Ask for a quote, you may be surprised at how economical patches can be, particularly in large quantities.